Ever since I got hold of the wonderful book Streamers and Bucktails by Joseph D. Bates sometimes back in the 1980’s… I’ve been in love with Bill Edson’s flies. I wanted to tie the flashy Light Tiger and the more discrete golden brown Dark Tiger. 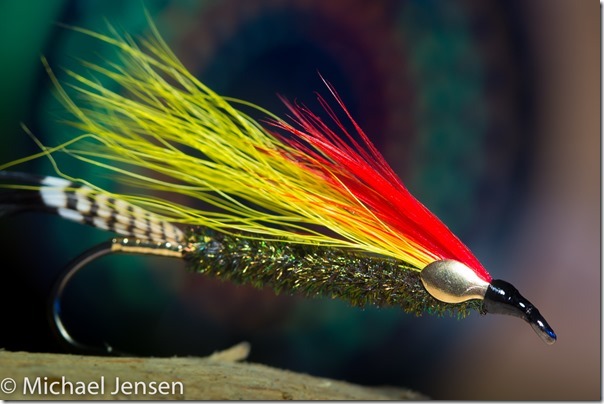 But I didn’t have the right fly tying material – since I could not find a source for the characteristic brass eyes, that Bill used on a lot of his flies. Well sometime last winter, I found a source. It was kind of like finding the Holy Grail, so I was really happy, when the first package with small metal spoons landed in my mailbox. 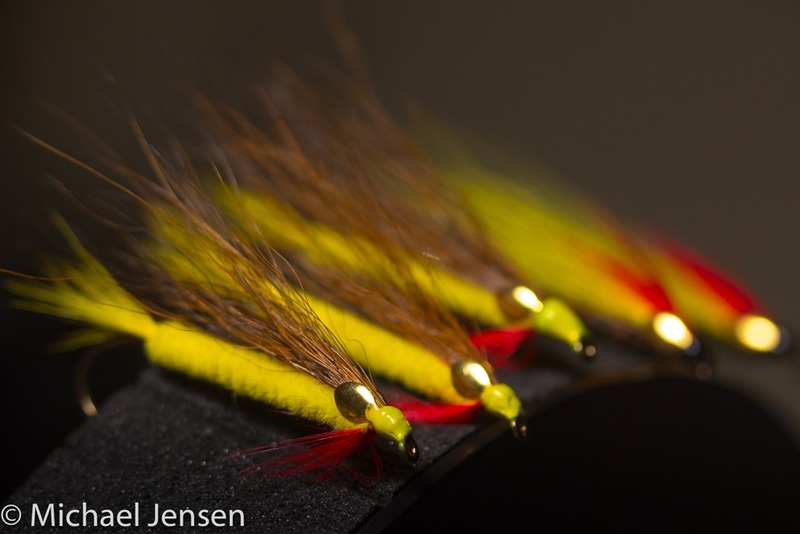 During the next couple of weeks, I tied Edson flies. Mostly Light Tigers and Dark Tigers – but a couple of his featherwing streamer patterns as well. And I went fishing. 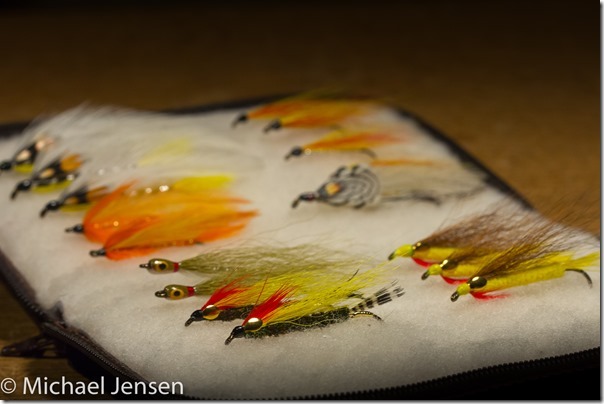 On my first trip with the Dark Tiger I went to one of my local trout streams. It was in March – which here in Denmark should be the first month of spring, but usually is more like winter. It was a cold and dark day. The river ran high and was discolored from winter run-off. But… the Light Tiger looked exactly as great as I had expected, while it swung across the current, and in the second or third cast a large trout took it in a boil of water. To make a long story short. 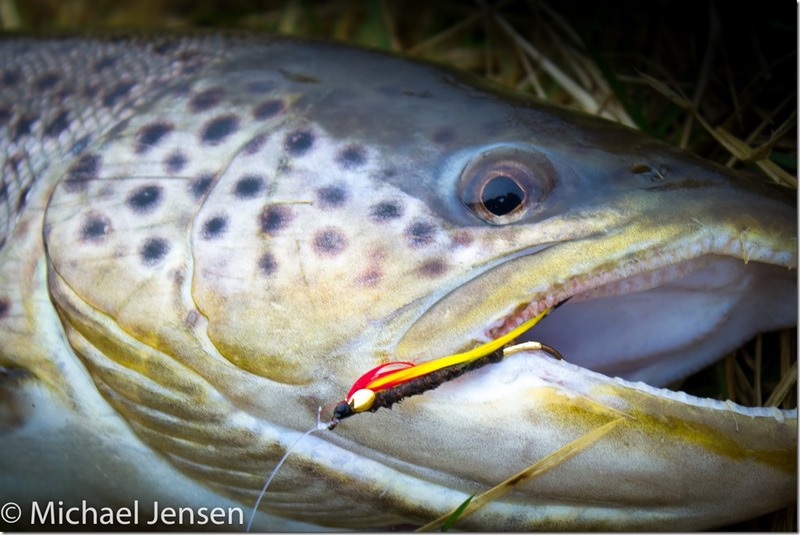 The fish was a 30 inch sea run brown trout. Dark and beautiful but post spawn, so not exactly a silver torpedo. I shoot a couple of quick photos and released the fish to continue it’s journey downstream and maybe return to the river again for another run.